This is a lovely salad for summer days – partly because it’s so bright and beautiful! 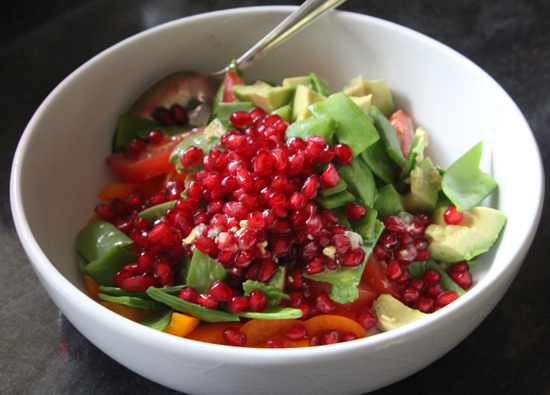 It’s also got a really interesting mix of tastes and textures, from the crisp crunchiness of the sugar snap peas and pomegranate to the softness of the avocado and tomatoes. Just chop and slice all the veg into bite sized pieces squeeze over the lemon juice, drizzle some olive oil and ta daaah!